Calling all NYC dwellers who love (free) exercise! Lululemon is US clothing company that focuses on creating wearable outfits and accessories for yoga, running, dance and other forms of exercise to make your workouts fun, comfortable and stylish. Their Union Square store, (along with many others across the states) offers FREE yoga class every Saturday from 8-9AM. Although this is quite an early start for many of us Manhattanites (or other borough-ites) who rage on the weekends, this class helps the body and soul to create a clear, calm head after those stressful work weeks. Although I have not experienced this class or taken many yoga classes, I’ve been advised by my yoga friends that this is an excellent class. Visit their website for more information and find the closest Lululemon to you! Looking for the perfect holiday gift your man, father or friend and finding it at the right price? Or are just looking for a damn good pair of denim jeans? 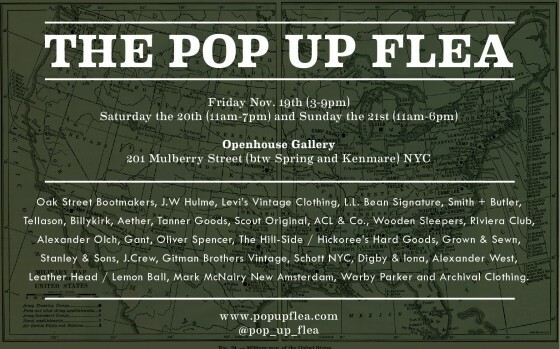 Head over to the Pop Up Flea this weekend, (the equivalent to a woman’s sample sale), where you can find new and vintage menswear for all shapes and sizes by some great designers including LL Bean, Levi Vintage Clothing, Oliver Spencer, J. Crew and more. Starting today-Sunday, head down to 201 Mulberry Street and find your way to hidden men’s clothing treasures. If you head over tonight, expect to get have some great cocktails. Visit the website or follow Pop Up on Twitter for more details on the weekend events and designers being featured. Are you looking for some new summer dresses or scarves and don’t feel like breaking the bank?? 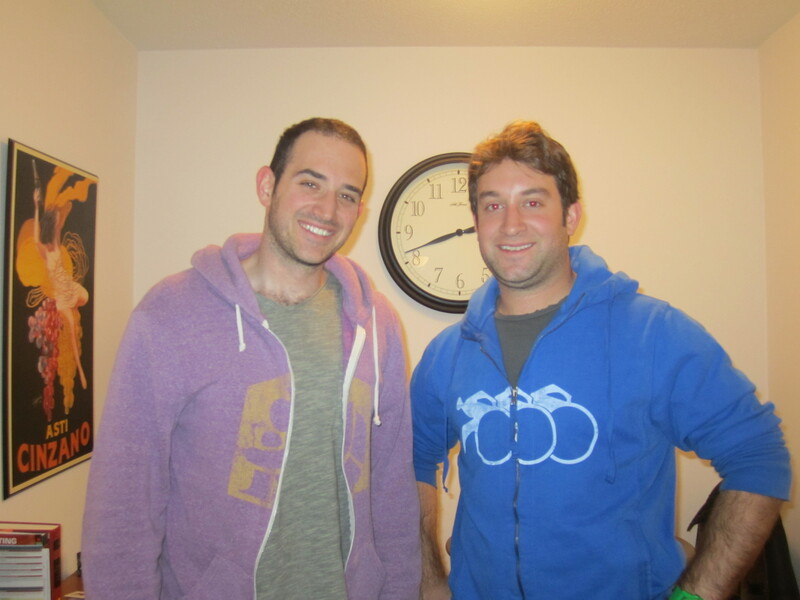 Create your own CLOTHING SWAP! Bring your friends/family together and any clothing items, household goods, accessories that are still in wearable and clean condition. 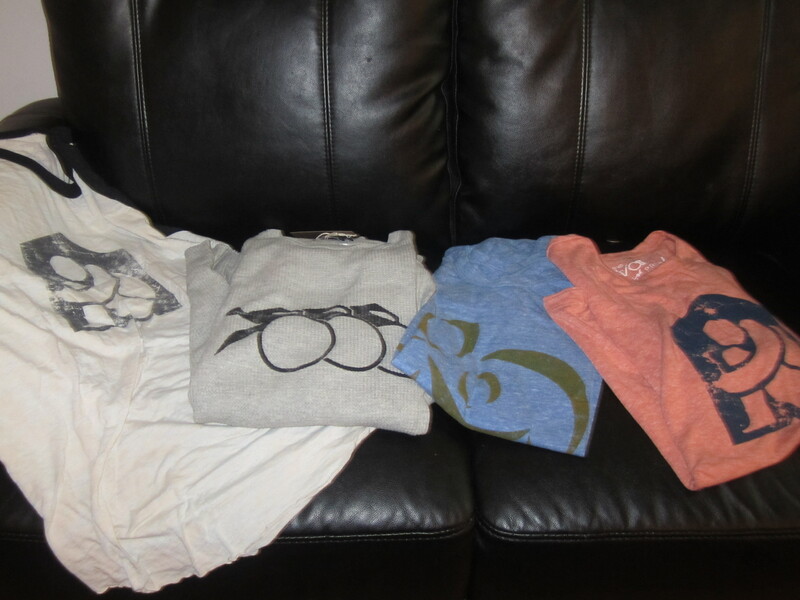 In return, you will find items that other people are giving away that you can become the proud new owner of! Today, I just attended a clothing swap for the first time. Friends, co-workers, family members alike were in attendance to provide some great clothing options along with drinks (cocktails, and non-alcoholic beverages) and snacks. All items that did not get snatched up will be donated to the Housing Works Thrift Store (on 17th Street). I want to thank the lovely host, Lauriana, for planning this wonderful activity today! I’m certain that all of you out there have your own personal items that you’ve left in the corner of your bedroom or living room to give away. Why not make the process more fun and exciting, with a chance to get something for yourself? For events like these, there are some great second hand items that may just need a new person or place to feel like home again! **Learn more about Housing Works and what they do to give back to HIV/AIDS communities that may not have the proper resources to care and nuture these brave individuals towards better health and lives. 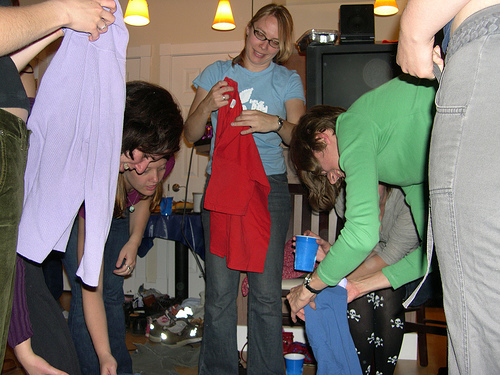 **Are you interested in learning more about clothing swaps? Do you want to create an event of your own? There are many sources to check out and learn more! 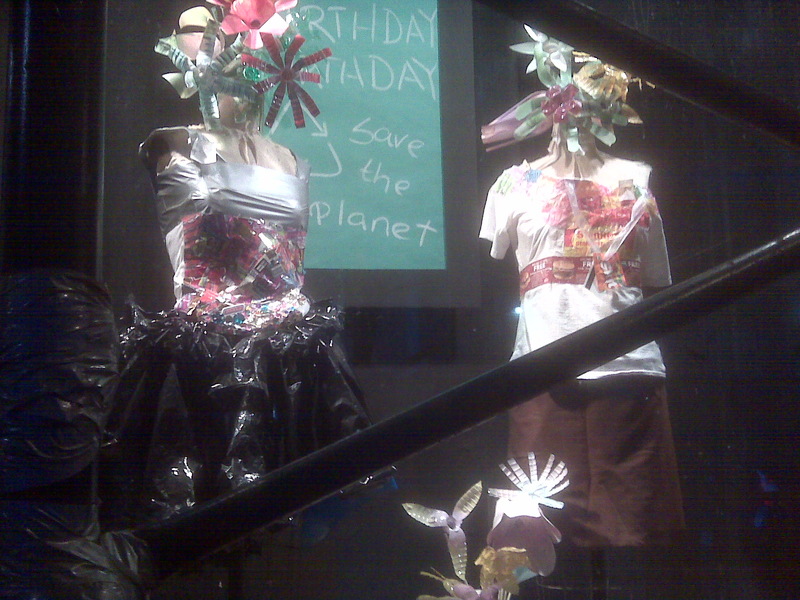 These clothes were made out of candy wrappers, leftover newspaper and other sustainable materials.